There’s this movie I love from the late 90s called Sliding Doors. It features a British accented Gwyneth Paltrow as a recently fired woman named Helen, and the entire narrative of the film alternates between the Helen who caught her train home and the Helen who didn’t. 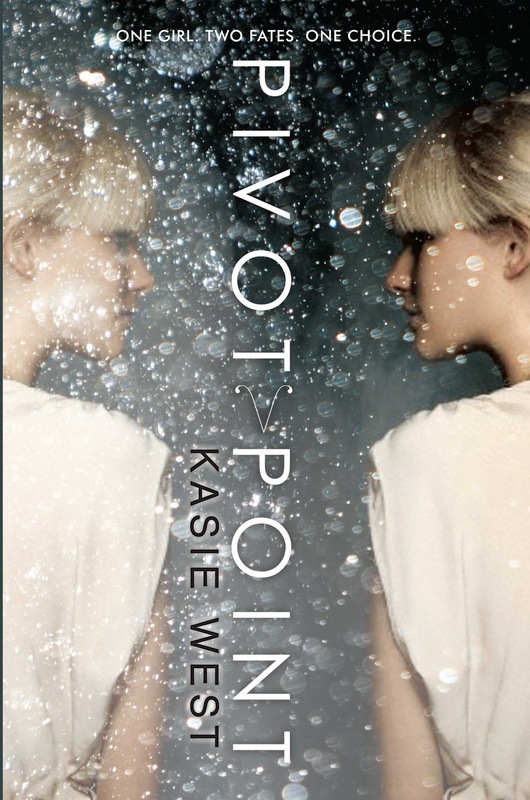 As soon as I read the summary of Kasie West’s Pivot Point, I thought it sounded like a YA paranormal Sliding Doors, which is absolutely my kind of story. Plus, there’s the added bonus of teens with superpowers, a trope of which I never seem to tire. While there are a few aspects that didn’t completely win me over, I found Pivot Point to be engaging and entirely worth my time. Addison Coleman is a Searcher, which means that when she has a decision to make, she can look into the future and see both potential outcomes. They live together on The Compound, a secret location where paranormals like her and her family live, work, and go to school to learn to harness their power as well as exist among the Norms on the outside. One day, she comes home to a series of bombshells: her parents are divorcing, and her dad is moving out of The Compound to live a decidedly more normal life. Her parents tell her to Search both options to decide which parent she should live with, and that’s when our real story begins. 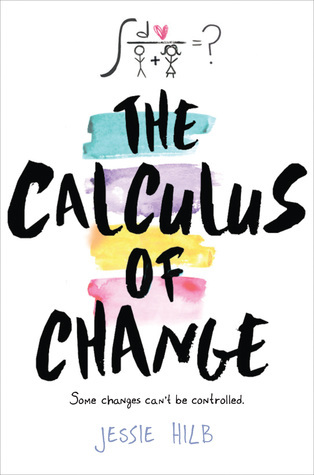 Each chapter alternates between Door Number 1 (staying with her mom on The Compound) and Door Number 2 (moving to Dallas with her father and attending a normal public high school). The plotting and story-telling at work here are really something. The two timelines weave in and out of one another seamlessly, but somehow it manages to steer clear of confusion. There are so many ways Addie’s back-and-forth could easily send the reader’s mind into a tailspin of “What the what is she talking about?” but Kasie West pulls this off and she pulls it off well. Actually, the reader is the big winner here, as we are treated to more details and twists by knowing both storylines. There are times when you wish you could let Para-Addie or Norm-Addie know what’s to come, but it’s so much better to watch it unfold on its own. Another super fun aspect of dual plots is dual love interests without creating a triangle! Huzzah! Granted, one fella is leaps and bounds over the other, but I’ll let you make that decision for yourself. But then there’s the world building. While I think the world itself is dynamic (and I’m always excited to see a touch of Friday Night Lights with that football arc), I wish there was a bit more detail to the paranormal side of things. Addie is bare-bones in her description of certain aspects of her paranormal world, and I would have liked to hear more about it. Part of that is just my own curiosity, but also I thought knowing more about her para life and The Compound would make the Normal World look more interesting. 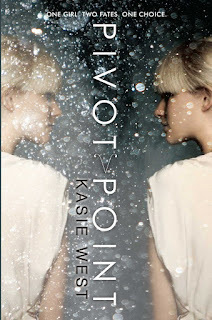 All together, I totally dug Kasie West’s thrilling debut. I’m delighted to know there will be a sequel, because I’m not quite ready to let these characters go. If you’re looking for something outside of your typical paranormal or contemporary, Pivot Point strikes a perfect balance. Omg, I totally thought of Sliding Doors when I read the summary for this too! I love that movie. I'm so glad this one worked (balancing the two stories WOULD be a challenge for an author I'd think), so I can't wait to read it.